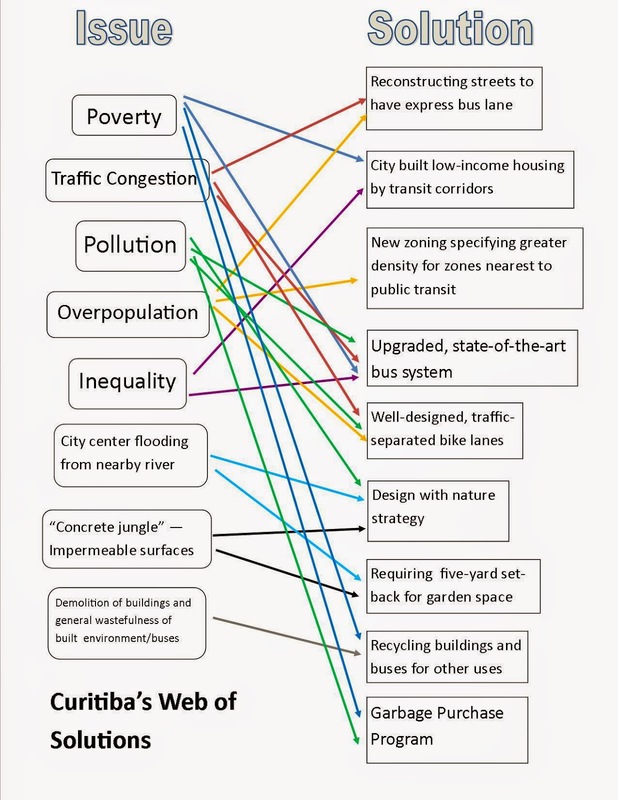 Each of Curitiba's many solutions to it's urban issues have been very successful in eliminating a multitude of issues. Solutions were not only geared toward fixing one problem, but rather they work in a multi-faceted fashion. This methodology has produced extremely productive urban improvement efforts that have benefited the lives of all Curitiban's. Lerner has been successful in utilizing the power of urban planners to create solutions that have altered the ways people live out their daily lives rather than relying on mere technological fixes. This Curitiban innovation has produced myriad forms of action, making this city one of the world's leading sustainable urban communities.